Create your own Dell 5210n mono toner pack / bundle with our flexible quantity discount pricing. Mix and match products so you are only purchasing what you need, but also maximizing your savings. Remanufactured Black Toner Cartridge with 20,000 high capacity page yield. Equivalent to Dell part number(s): 310-7237, 341-2916, HD767, UG219. Fits the following model(s): Dell 5210, Dell 5210n. Remanufactured Black Toner Cartridge with 32,000 extra high capacity page yield. Equivalent to Dell part number(s): 341-2939, UG217. Fits the following model(s): Dell 5210, Dell 5210n. Buy our high quality compatible toner for Dell 5210n with confidence. Join thousands of happy customers who have found our compatible products are equivalent in page yield and print quality. For our compatible products, we offer a 100% Satisfaction Guarantee allowing you to return products within 6 months if you are unsatisfied. 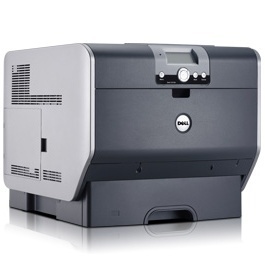 There are a lot of laser printers that are designed for bigger offices; however, the Dell 5210n is intended specifically for growing companies that need to conserve space, time and money while being able to increase efficiency as the business grows. In an economy on the mends, it is crucial to save every penny possible and be cautious without cutting the quality of products. This unit will do that with quick speeds and high-grade Dell 5210n toner. There are various connection options on the 5210. Standard parallel, Ethernet and high speed USB ports are built-in and an optional wireless card is also available. There are 64 MB of memory that come standard in the unit and can be upgraded to 576 MB. Speaking of expandable, the 5210n has a 600-sheet input tray and a 250-sheet output tray. With the addition of four 500-sheet input trays, this printer has a maximum input capacity of 2,600 sheets. The output capacity can be upgraded to 2,000 sheets. One Dell 5210n toner cartridge can be found within this device. It is filled with black printer toner, can print 40 pages per minute and can produce up to 10,000 pages per container. 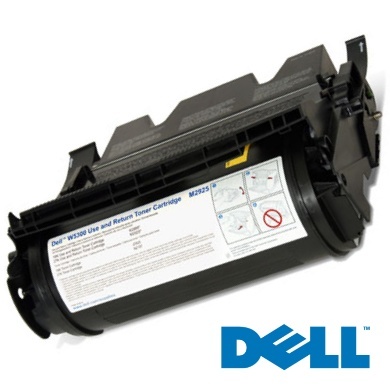 When replacement Dell toner is needed, inexpensive remanufactured toners are available from third party vendors. For most office environments 10,000 sheets will not go quickly, but for the super high-volume users, a high-capacity Dell 5210 toner cartridge is available that has a page yield of 20,000 pages. The 5210n is known for its security features that allow users to manage who has access to this machine. There is a lock on the control panel to limit access, and it can be set up for a PIN to be entered before paperwork is printing out. Though it weighs less than 50 pounds, its frame is only 15x17x29 inches so it should fit snuggly in any office area.